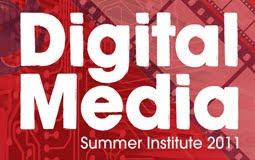 The fifth annual Summer Institute will offer students in Lisbon and Porto the opportunity to explore a variety of digital media topics ranging from experimental animation to entrepreneurial journalism. Renowned instructors from the University of Texas at Austin will teach six intensive short courses from one to three weeks in duration in May, June and July. The courses will be taught at the graduate level. The application deadline is 14 May (extended) for Lisbon courses and 6 June for Porto courses. More info here.